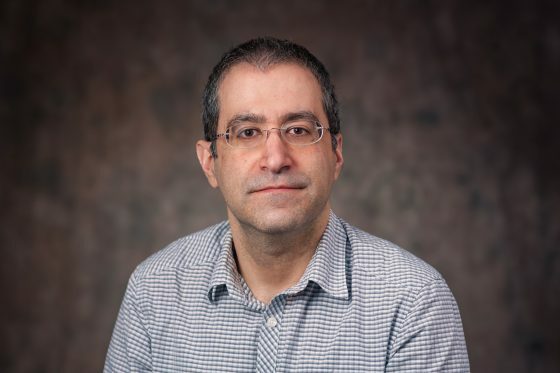 Over the weekend of February 15–17, 2019, a symposium of about a dozen scholars convened at the University of Michigan to talk about the changes and challenges facing the field of Iranian Studies forty years after the Revolution of 1978–79. In addition to art, literature, historiography, and anthropology, the topic of cinema and media studies held a prominent place in those discussions, as befits its international status and recognition—the late director Abbas Kiarostami once half-jokingly described cinema, along with oil, carpets, and pistachios, as one of Iran’s major exports. Two of the symposium participants, Blake Atwood and Pedram Partovi, kindly agreed to have a conversation with Cameron Cross by email about the significance of Iranian cinema both past and present, the ways it has been taken up by historians and film critics, and the directions we might anticipate (or call upon) the field to take. Cameron Cross: The cinema of Iran—specifically during the last three decades, under the aegis of the Islamic Republic—has been esteemed by critics and scholars as one of the best and most interesting cinemas in the world. Can we start by exploring this a little bit? As scholars of film and media, what are some important questions that this international success story raises for you? Pedram Partovi: Iranian cinema has attracted both unprecedented critical and scholarly attention over the past three decades for a variety of reasons. The most important international film festivals have included one or more Iranian features in their programs nearly every year during those three decades. Annual showcases of Iranian releases, curated by professional critics and film scholars, are now held in a number of major cities across the globe. Critics and academics have praised the unique aesthetic of many of these festival entries, which they have often associated with their directors but also with an Iranian ‘school’ of filmmaking that supposedly emerged under the Islamic Republic. 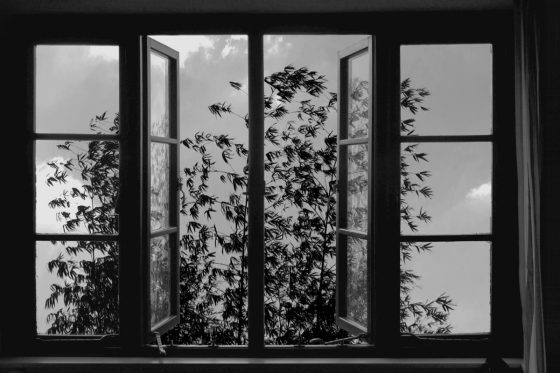 The late Abbas Kiarostami has perhaps best embodied the visual style of the post-revolutionary cinema for these critics and scholars, which his one-time collaborators and disciples have emulated, refined, and reconfigured. The ‘lyrical,’ ‘self-reflexive,’ and ‘documentary-style’ cinematography of Kiarostami and other Iranian ‘art’ film directors has often been paired with simple, ‘unscripted’ narratives with minimal on-screen action, ‘naturalistic’ acting, and sparse dialogue and music. Only in recent years has this ‘national style’ seemingly begun to lose its coherence, perhaps in conjunction with the rise of a new generation of Iranian filmmakers on the film festival and art-house circuit. However, there are in my mind some problems with the claims of critics and scholars about a unique post-revolutionary film aesthetic. The cinematic tropes that they have identified with Iranian art films since the Revolution were themselves often carry-overs from the largely overlooked Iranian ‘New Wave’ of the 1960s and 1970s. In fact, some of the prominent art film directors of the past thirty years, including Kiarostami, had taken part in this New Wave. The New Wave filmmakers too drew inspiration from social realist and, to a lesser extent, magical realist conventions in literature and film that were sweeping much of the Third World in the 1960s and 1970s. Nevertheless, the idea of the 1978-9 Revolution as a cataclysmic break with the previous era, an idea that the revolutionary leadership aggressively promoted, has had a powerful effect on not only our understanding of the political history of Iran but also its cultural history. 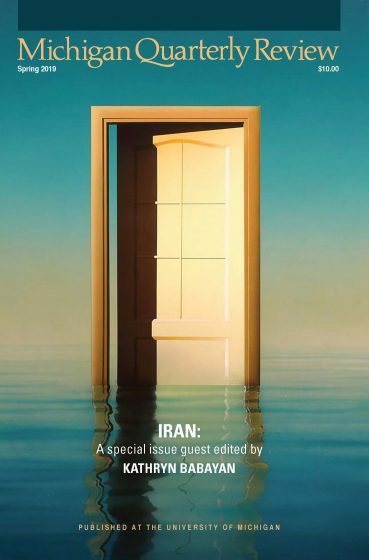 Thus, critics and academics have insisted on viewing the work of Kiarostami and other prominent Iranian directors of recent decades as a novel response to the severe constraints that government officials in the Islamic Republic placed on cultural production. Many of these films have supposedly operated as political allegories challenging the repressive social and political climate of the Islamic Republic. Of course, this perspective often overlooks the key role of official and semi-official cultural organs in Iran, especially during the 1990s and early 2000s, in the production and promotion of these festival entries. So, one key question that the international success of Iranian cinema since the Revolution raises for me is whether critics and academics in the West have misinterpreted or over-interpreted these films and their political content? As a historian of modern Iran and its film culture, I am also acutely aware that Iranian cinema’s recent international success stories only make up a tiny fraction of the national film catalog. Moreover, it is worth noting that many international festival entries have received far less attention and praise from audiences and even professional critics inside Iran. Official bans on public screenings, despite earlier production approvals and occasionally after initial screening approvals, can certainly help to explain this gap between audience reception and critical acclaim inside and outside the country for at least a few titles. However, many international festival entries have received screenings in Iran, both in cinema halls and on national television. Illicit analog or digital copies, foreign-based satellite television networks, and now internet streaming sites have also made the few retroactively banned titles available to those in Iran interested in watching them. Yet, they remain largely ignored at home. To be sure, there is no shortage of interest in cinema among ordinary Iranians. The general public watches many Iranian films but the films that they watch are not widely known or circulated outside the country (except among some in the diaspora). The ‘popular’ cinema of the post-revolutionary period, not unlike the art cinema, has many carry-overs from domestically produced popular titles of the 1960s and 1970s despite far more turnover in on-screen and behind-the-screen talent than in the art cinema. We can say that Iranians have in particular flocked to melodramas, set in contemporary times and centered around a conflict between the ‘selfish’ and ‘wayward’ dispositions of the protagonist(s) and the obligations of the family—a conflict invariably resolved through the sacrifice of personal interests in order to elevate those of the family. Filmmakers working in the pre-revolutionary popular commercial industry relied heavily on exaggerated emotion, heapings of dialogue, music (diegetic and extra-diegetic), and physical (or cinematographic) intimacy to achieve their desired melodramatic effect. If we recall the dominant tropes and conventions of the Iranian art cinema for a moment, we may in fact come to the conclusion that they were formulated at least partly in opposition to those of the popular cinema. Popular filmmakers since the Revolution have in turn continued to employ many of the techniques of the pre-revolutionary commercial cinema, although within the boundaries of a new censorship regime, in order to achieve a similar effect. One significant adjustment that post-revolutionary popular filmmakers have made is to place greater narrative stress on the family’s prerogative to determine its own interests (as opposed to the government dictating them). 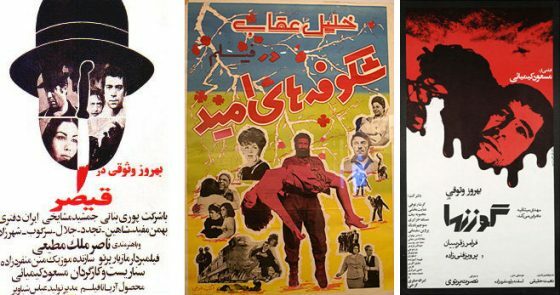 The narrative and stylistic continuities of popular Iranian cinema, despite the dramatic demographic transformations of the past forty years, suggest that these films are not just ‘mindless entertainment’ but have highlighted the enduring social priorities of their audiences in the face of seemingly conflicting official goals (both before and after the Revolution). While critics and academics in the West have argued for Iran’s festival entries as providing viewers with an intimate look ‘behind the veil’ of a society largely cut off from the outside world, the reactions of domestic audiences to these films would appear to challenge such assumptions. In fact, another question that the international successes of some Iranian films in recent decades raises for me is whether such festival entries are the best representatives of an Iranian ‘national’ cinema and the concerns and preoccupations of Iranian audiences? Blake Atwood: The critical and scholarly attention to Iranian cinema has, indeed, reached new heights over the last three decades. In 1994, film scholar Bill Nichols wrote an article [entitled]“Discovering Form, Inferring Meaning: New Cinemas and the Film Festival Circuit,” in which he observes the precise moment that the international film festival circuit elevates Iranian cinema to the ranks of “world cinema.” He cautions that a lot of context and history are left behind when a national cinema becomes part of a canon of world cinema. The growing field of Iranian film studies has begun the work of filling in those gaps, providing frameworks for understanding those films that circulate internationally. I completely agree with Pedram that as scholars we also need to attend to what is being left out of this celebration of Iranian cinema. This is why I admire his recent book on popular mid-century Iranian cinema so much. The kind of cinema that has become synonymous with Iran outside of the country, through works by the likes of Abbas Kiarostami and Asghar Farhadi, is not necessary representative of the kind of cinema that is actually popular inside of Iran. Nevertheless, the art-house films that circulate outside of the country are constantly asked to represent all of Iranian cinema, and even all of Iran. Asghar Farhadi’s 2016 film Salesman. We should also be asking why Iranian cinema has become so successful, and what we mean by success in the first place. To take the second question first: Iranian cinema is successful by some measures. It is one of the largest film industries in the world in terms of output (although most of those films will never be seen by international audiences). Also, anecdotal evidence suggests that cinema matters to many people in Iran. The last time I was in Tehran, box-office sales were high and movies were often sold out when I tried to get tickets. Going to the cinema is still an important pastime for a certain class of Iranians. If by success we mean international recognition, then that leads me to my first question. We need more rigorous studies of the political economy of international film festivals, which have sanctioned Iranian cinema as worthy of praise. Preliminarily, I think that there is something seductive for international audiences about seeing such a robust cinema culture in a country that has—at least in the international press—become synonymous with an oppressive government. This is a problematic starting point, and something we need to unpack more as scholars. CC: There was a lot of talk during the symposium about the problems of reading Iranian cinema as a singular object of study that has a special relationship to the state, and the need to integrate it into a broader inquiry that takes things like television, radio, and music into account. What new vistas might be opened if we re-configure our understanding of what Iranian cinema is and how we should engage with it? BA: This is a really interesting question and one that touches on larger debates that are happening in film studies right now. Scholars of Iranian cinema need to acknowledge that films are mediated objects. Like other forms of media, films are constrained by a range of political, economic, industrial, and technological forces. If we start to understand those forces, then we necessarily end up back at things like radio, television, and music. When we study media alongside of one another, we realize that many of the concerns, fears, aspirations, and aesthetics that may have seemed specific to cinema are actually shared with other mediums. Media industries, their consumers, and the state are acutely aware of one another. Beyond that, there has historically been considerable overlap in labor between media industries. Just looking at stardom, radio star Delkash was one of the first film stars in Iran, beginning in the late 1940s. Similarly, Reza Attaran, who is a successful actor, director, and producer, made a name for himself on television. In the same vein, the governmental institutions like the Ministry of Islamic Culture and Guidance regulate all of these industries. Cinema has never existed in isolation, so to study cinema in Iran requires that we think about how it is related to other media. As Pedram suggests, this question is more urgent than ever because of the technological developments over the last 40 years. Scholars like Henry Jenkins have argued that we are in an age of “convergence” as different media come together in single devices. As a media historian, I am hesitant to agree with him that “convergence” is unique to our lives today, but I do think that technologies from the last half century like analog video, digital media, and satellites have necessitated a discussion of media rather than of individual mediums. PP: I certainly agree that we need to give greater consideration to the relationship between Iranian cinema and other audio/visual media over the past forty years. Blake’s upcoming project on home video in the Islamic Republic may provide an opening to better see the links between these various media, with the videocassette and other home video formats functioning as a ‘bridge.’ By looking at some of these other media forms we can also see how the relationship of cinema with both the state and society is changing in Iran. It would appear that television, and in particular television melodrama and comedy on state networks, foreign-based satellite channels, and direct-to-video formats, has threatened to overtake cinema in recent years in terms of its ability to speak authoritatively about its times and regularly attract mass audiences. Moreover, television has also become the favored medium for watching films since the Revolution. The dramatic expansion of state television programming, beginning in the 1990s and accelerating in the 2000s, would seem to demonstrate official awareness of a popular shift towards television. The study of other audio/visual media, both separately and in relation to cinema, in Iran is much needed. CC: I’d like to pursue this notion of “convergence,” which seems to run through both of your comments on a couple of levels. For example, Pedram, you posit a particular gap in Iranian cinema—not a gap before and after the Revolution, as many have supposed, but rather between ‘popular’ and ‘art-house’ cinema, going as far back as the 60s: the former melodramatic and emotional, awash in sonic and visual color, deeply concerned with modern individuals and their struggles with social and familial obligation; the latter minimalist, surrealist, lyrical, self-reflexive, and in general posited as a reaction to its popular counterpart. Yet it sounds as if this gap is breaking down somewhat; you mention a new generation of filmmakers, the rise of high-quality television programming, and the embrace of ‘melodrama’ even in the films that travel abroad (Asghar Farhadi’s cinema, with its theatrical methods, might be the example par excellence of this movement). Is it far-fetched to wonder, then, if these two ‘nodes’ between popular and art-house styles might be coming together in novel, even unprecedented ways? As an aside, I find this division between ‘popular’ and ‘art-house’ suggestive of a similar binary, that of ‘commercial’ and ‘independent’ cinema. Do you find this a useful or productive distinction in your work? I’m reminded of a recent article by Milad Dokhanchi that argues forcefully, as its title suggests, that “Iranian Independent Cinema Does Not Exist!”, but I’m sure that need not be the last word. Naficy, after all, speaks of periods of Iranian cinema where the ‘artisanal’ mode (a single person or small team works on all aspects of the film production) competes or even overshadows the ‘industrial,’ vertically integrated mass production systems reminiscent of Hollywood. Certainly in terms of aesthetics, styles, and production values, I sense a certain convergence between films coming out of Iran and the US today; is this something we might explore? BA: I have been really excited to see that over the last several years scholars have started to take up popular Iranian cinema more seriously, especially the midcentury filmfārsi tradition. Pedram’s book has done really important work in this regard; he has helped establish popular Iranian cinema as a serious object of study. At the same time, as more scholars take up popular cinema as a category unto itself, they inscribe a sharp division between popular and art-house cinema. Certainly, when we are thinking about modes of production and reception, there is something productive about separating out these two kinds of cinema. Yet I think it is dangerous to always insist on it. Cameron, you mentioned recent films, especially those by Farhadi, that seem to blur this distinction, but I don’t think that this is a recent phenomenon. For example, when Qeysar was released in 1969, even critics at the time weren’t sure how to categorize it. On the one hand, it was wildly popular; on the other, its gritty aesthetic and anti-hero narrative seemed to push beyond the norms for popular cinema at the time. Even now, scholars don’t agree whether it was popular, commercial cinema or the start of the Iranian New Wave. Similarly, Samuel Khachikian’s films from the 1950s enjoyed both popular success in Iran and critical acclaim abroad. PP: This question about the overlapping aesthetics of popular and art-house cinema, with Farhadi’s films serving as a prominent example, brings us back to Blake’s suggestion that we should be paying closer attention to the political economy of the festival circuit. In my mind, when it comes to Iranian cinema, the interests and concerns of festival organizers and curators outside Iran remain distinct from those of the bulk of audiences (and filmmakers) inside Iran. In other words, this shift or broadening in the aesthetics of the festival film is (still) only secondarily connected to film-making and film-going developments in Iran. One could argue that the embrace of filmmakers like Farhadi outside Iran heralds foreign cineastes’ recognition of Iran as a ‘mature’ global cinema. That is, the expectation that Iranian films embody a particular filmmaking style has begun to fade in art film circles and now these foreign film enthusiasts can (also) concern themselves with the cinematic innovations of the latest and most talked about Iranian titles and filmmakers. It reminds me of the transition that we see in Italian films circulating on the art film circuit during the 1950s, as we move from an austere neorealism to extravagant re-imaginings of the ‘white telephone’ cinema that had captivated Italian audiences before the Second World War. This shift coincided with the rise of the late Federico Fellini as an international auteur, whose filmmaking sensibilities are difficult to lump in with his neorealist compatriots. Ironically, the neorealist style so intimately connected to post-war Italy in the standard film histories was surprisingly short-lived there. It has had a far longer and more fruitful life in the Third World, where the devastation and poverty that afflicted Italy after the war, and which was so graphically depicted in neorealist films, was a long-term condition. As for your second question about the binaries of ‘popular’ and ‘art-house’ or ‘commercial’ and ‘independent,’ I would agree that we as scholars cannot get too carried away with such labels. What Naficy called the ‘artisanal’ mode of filmmaking in his history of Iranian cinema was perhaps even more widespread and long-lasting than he claimed. The term ‘commercial’ cinema, as you point out, may conjure up for many the corporate model of Hollywood. Such a corporate model of filmmaking never really existed in Iran, even during the heyday of ‘commercial’ cinema in the 1960s and 1970s. The ‘studios’ then were largely family businesses. One of the pioneers of the Pahlavi-era popular cinema, Esmail Kushan, seemingly had every member of his family working on the set of his Pars Film productions! 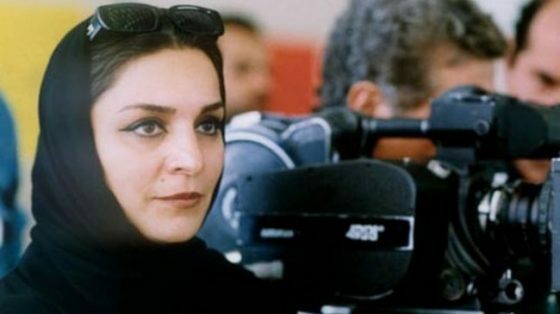 Similarly in the post-revolutionary era, one of the most successful directors and writers, Tahmineh Milani, has worked almost exclusively with her producer husband, Mohammad Nikbin. At the same time, what do we call those films produced by state organs before and after the Revolution with little to no concern for their commercial viability? Perhaps neither ‘commercial’ nor ‘independent’ are terribly useful terms in describing Iranian cinema in any era? BA: Indeed, as Dokhanchi argues, these terms don’t necessarily map neatly onto the Iranian film industry, but they do direct us to thinking more about the financial models and political economic circumstances under which films are produced. The problem with “popular cinema” and “art house cinema” as discrete categories is that they don’t hold much water: they ultimately come down to taste and personal interpretation. Moving forward we as a field need to be more careful about deploying these categories as though they’re inherent or natural, and instead think more critically about what it means to use them and what kinds of histories such terms generate. Sara Saljoughi’s current work on the Iranian New Wave is doing precisely this. CC: For my last question, it seems too that a convergence of discipline is in the air—both of you argue in favor of a new approach to Iranian cinema that does not isolate and reify the art-house cinema as a self-sufficient corpus, disconnected from popular cinema, radio, television, theater, music, and other media; an attention to not only the contents but also the material circumstances behind the production, circulation, and consumption of these media is also a desideratum. However, this convergence of multi-media and interdisciplinary approaches, even as it trains our gaze on the subject in ways that are hopefully more holistic than before, seems to suggest new points of departure from which the field might diverge from previously trodden paths. One such example that comes to mind is the move away from the nation-state as the frame of analysis—we no longer think of “Iranian” cinema as its own self-contained entity, but rather as something that necessarily overflows and even defies the national epithet by which it is defined. It is exceedingly rare to see monographs comparing the cinema of Iran with, say, that of Egypt, Turkey, or India, and Pedram alluded to much broader currents, such as the experiments in social and magical realism that swept Third World literatures in the 60s, that take us beyond the Middle East altogether. From the standpoint of discipline and methodology, then, what new or possible divergences do you see unfolding in the horizon as scholars reframe and reconfigure the study of Iranian cinema? PP: I would agree that more holistic approaches to Iranian cinema as well as attempts to put Iranian cinema into dialogue with other cultural forms, both modern and pre-modern, should be encouraged. It is my opinion that popular cinema in Iran has been, to borrow from Ernesto Laclau’s terminology, the “constitutive outside” of the art cinema. One isn’t quite whole without the other. But similar relationships may also exist between film and other modern mass media in Iran and even pre-cinematic cultural forms, as I’ve suggested in my own research. Furthermore, I would agree that limiting the study of Iranian cinema to a purely national context is highly problematic. Obviously, the very origins of the Persian-language sound film are transnational, the product of the efforts of Parsis and Iranian expatriates in India during the 1930s. Those films in turn would inspire the generation that launched the domestic industry in Iran after World War Two. Those domestic productions would spend the following decades competing with Bollywood films, among others, for the attention of Iranian audiences. Traces of that competition were apparent in many of the popular Iranian titles of the 1960s and 1970s. The 1965 blockbuster Ganj-e Gharoon / The Treasure of Korah (Siamak Yasemi) was at some level a satire of the Bollywood cinema and its popularity in Iran. India has thus thrown an enormous shadow over the Iranian cinema but also over the cinemas of the Middle East more broadly, both art and popular. Many critics and commentators over the years have, for example, claimed Kiarostami to be the spiritual heir to Satyajit Ray. The generic and stylistic overlaps we witness in Indian and Iranian art films may be, as I suggest, also related to broader currents in Third World literature and film. But in terms of popular cinema, it is clear to me that some of the images and ideas represented in Iranian and Indian features have involved the democratization and reconfiguration of Persianate courtly entertainments of the early modern Middle East and South Asia. In fact, I have recently argued that the popular cinemas of not only Iran and India but also Turkey and even Egypt may be labeled “Persianate cinemas” whose narrative and stylistic features draw on aspects of supposedly obsolescent Persianate courtly cultures. BA: You hit the nail on the head when you suggested that the next step is to think about Iranian cinema outside of the frame of the nation-state. Golbarg Rekabtalaei’s recent book, Iranian Cosmopolitanism: A Cinematic History (2018), is a good example of the kind of work pushing us in that direction. For me, though, the most important methodological shift that needs to happen is a move away from close-reading and textual analysis as our main modes of inquiry. In other words, we need more knowledge about how cinema as a system operates in Iran, and fewer interpretations of the specific movies that we have access to. This could include more attention to technology, distribution and access, reception, and creative labor. Once we have more research on these topics, then I think we’ll also be in a better position to teach Iranian cinema so that it isn’t just a course in film appreciation but also a systematic look at what cinema means in Iran. CC: Thank you both very much for your thoughts! PP: It was my pleasure! BA: Thank you for this really lovely exchange! 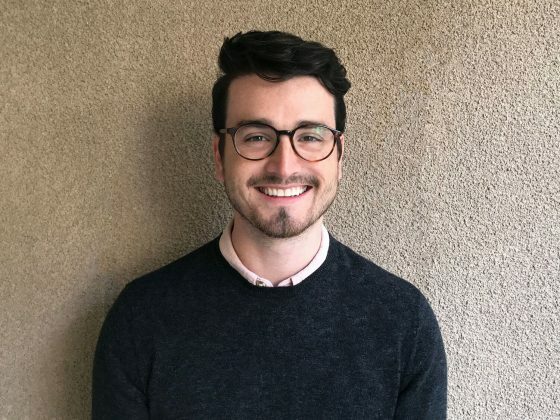 Blake Atwood is an Assistant Professor of Media Studies in the Department of Sociology, Anthropology and Media Studies, American University of Beirut, Lebanon. 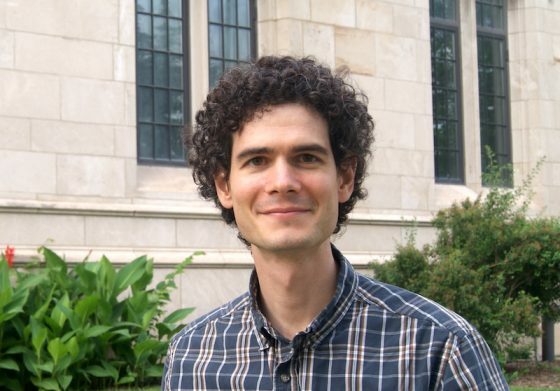 Cameron Cross is an Assistant Professor of Iranian Studies in the Department of Middle East Studies, University of Michigan, Ann Arbor. Pedram Partovi is an Associate Professor in the Department of History, American University, Washington, DC.